Every parent knows the drama of wrangling children for holiday travel. The hassles of scheduling travel, the cost of traveling with the family, and the untamed weather during travel that can spell disaster are all relatively known factors. But what do you do with the brood once you get where you’re going? How do you entertain the children in a way that isn’t a mind-numbing distraction for parents? 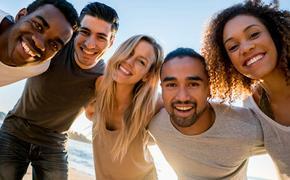 How do you slip some culture into your holiday travels to boot? Rachel Fine, executive director for the Los Angeles Chamber Orchestra, knows a thing or two about culture. She was previously the executive director of the Los Angeles Children’s Chorus and has two young children - a nine-year-old daughter and a four-year-old son. Her husband Christopher Hawthorne is the architecture critic for The Los Angeles Times. They are the prototype of cultured parents and are, they hope, successfully raising two cultured kids. Fine suggested that the first and most lasting way to give your child culture at the holiday season is with The Nutcracker Ballet. Far from the stodgy performance that often connotes ballet for those unfamiliar with the medium, the Russian composer Pyotr Ilyich Tchaikovsky’s The Nutcracker Ballet offers magic and mystery, heroic children, great battles, giant mice and plenty of princes and princesses. "The Nutcracker" is the oldest trick in the book – it dates back to 1892 when it debuted in St. Petersburg, Russia – to sugar coat culture at the holidays. Although Tchaikovsky was said to be quite unhappy with his finished work, The Nutcracker is still wildly successful. It is performed annually in every town across the United States in one semblance or another whether it’s drastically abridged, an amateur performance, or a purely concert version. Of course, if you’re able to attend the New York City Ballet’s American classic version of "The Nutcracker" at Lincoln Center it will change all of your lives forever. If you don’t already have a child enchanted by the story of a magical nutcracker that comes to life this performance will be the deciding factor. However, not everyone is lucky enough to be able to be in New York at the holidays and score tickets to the event. If you and your family are traveling to Anchorage, Alaska, or Austin, Texas there is a Nutcracker performance awaiting you. From Portland, Maine to Portland, Oregon there is a Nutcracker ballet to charm you with its wiles. If you happen to be visiting southern California this holiday season, there are no less than three concurrent productions in a 50-mile radius. A concert version of "The Nutcracker" with Gustavo Dudamel and the Los Angeles Philharmonic at Walt Disney Concert Hall is being performed on Dec. 15 at 2 p.m. The most intriguing aspect of this show is that the Los Angeles Children’s Chorus performs with the Phil. There is nothing to convince children to accept high culture than to watch other children perform it. Tickets are available at laphil.org. The Segerstrom Center for the Arts in Costa Mesa is offering a “Nutcracker for Kids” 45-minute version by the Pacific Symphony and Festival Ballet Theater on Dec. 14 at 10 a.m. and 11.30 a.m. 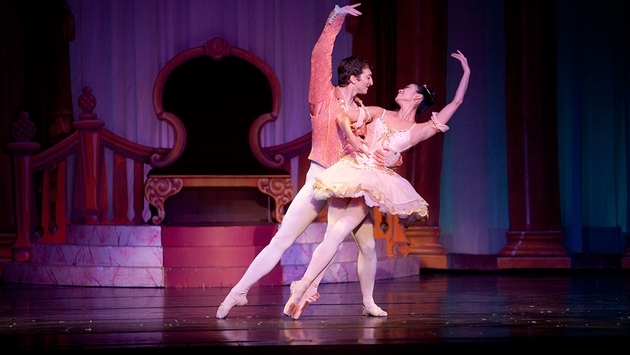 The Mission Playhouse presents the Pasadena Dance Theatre’s "The Nutcracker Ballet". There’s even an opportunity before the performance to have sweets and treats with the Sugarplum Fairy and the Mouse King at Clara’s Nutcracker Party. Tickets are available for the ballet and the party at https://pasadenadance.secure.force.com/ticket. The best way to prepare a child for any musical performance is to play the music prior to the concert. Local libraries usually carry the CD and ArkiveMusic.com sells almost every recorded version of the ballet. Play it ad nauseam and your child will sit through the concert riveted as opposed to squirming. You’ll all get a dose of culture and chances are you’ll have started a family tradition that you can take with you on the road for years to come.